He’s bringing the party to your town this summer. 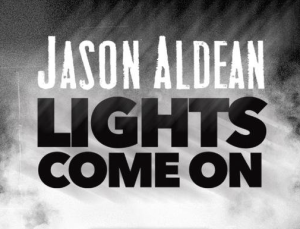 I wasn’t sure if Jason Aldean would come out with a fifth single from Old Boots New Dirt, but he’s moving on to the next album, which is fine with me and I’m sure fine with his fans. And he’s really coming out rocking with this new one. He’s got the drums kicking hard and the guitars playing killer riffs. Check this one out. If you like hard rocking Aldean you’ll love this one. You gotta think this will be the new opener for Jason Aldean’s concerts for the summer. It has to be, right? The song is about the way fans come out to shows like Jason’s. They work hard all week and get their friends and head to the concert to blow off some steam. And Aldean comes out and rocks hard on into the night and everybody has a good time. This song delivers. It’s got some really good hooks. You can sing along pretty quickly even the first time you hear it. The song is nothing too serious. It’s about leaving the serious world behind and letting it loose a little on the weekends. One cool note is that this one was co-written by the guys in Florida Georgia Line and the Warren Brothers and a couple others guys. Those two in FGL have had their hands in a few songs for major artists and Aldean has been dipping in their catalog since his last album. I don’t know if he’ll have any others of theirs on this record, but it would be a good thing. Those guys have been the kings of country the last couple years.